Gem miners find peridot as irregular nodules (rounded rocks with peridot crystals inside) in some lava flows in the United States, China, and Vietnam and, very rarely, as large crystals lining veins or pockets in certain types of solidified molten rock. Sources for the latter include Finland, Pakistan, Myanmar, and the island of Zabargad. Geologists believe both types of deposits relate to the spreading of the sea floor that occurs when the earth’s crust splits, and rocks from its mantle are pushed up to the surface. Sometimes—as in Myanmar— these rocks can be altered, deformed, and incorporated into mountain ranges by later earth movements. Rarely, peridot can have an extraterrestrial source, being contained in meteorites that have fallen to earth. The color range for peridot is narrow, from a brown-green color to yellowish green to pure green. 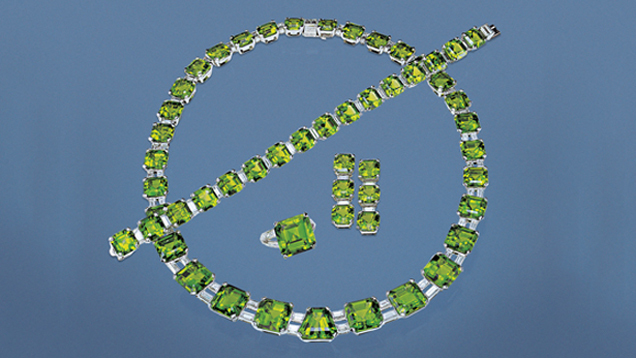 Yellowish green is the most common peridot color seen in jewelry. Peridot is best known for its yellowish green color. 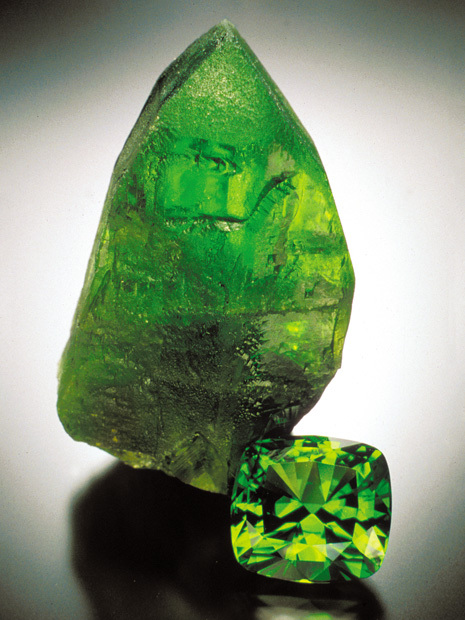 Peridot is the gem variety of the mineral olivine. Its chemical composition includes iron and magnesium, and iron is the cause of its attractive yellowish green colors. The gem often occurs in volcanic rocks called basalts, which are rich in these two elements. 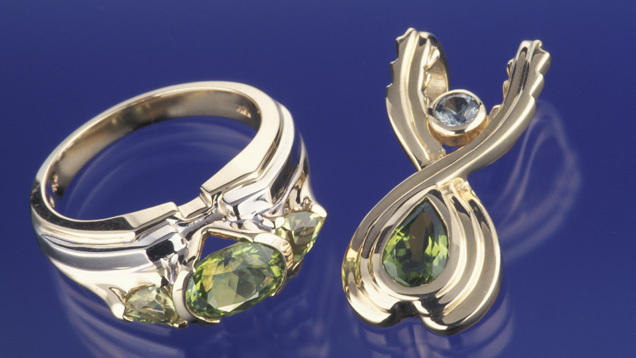 Explore peridot history, research, quality factors, and more in the GIA Gem Encyclopedia.